Recent projects have included the Paisley Purple Flag Student Discount card. More than 60 Paisley First BID businesses have signed up to offer special deals to students in the town with the Purple Flag Student Discount Card accepted at all participating outlets which display the Purple Flag sticker. 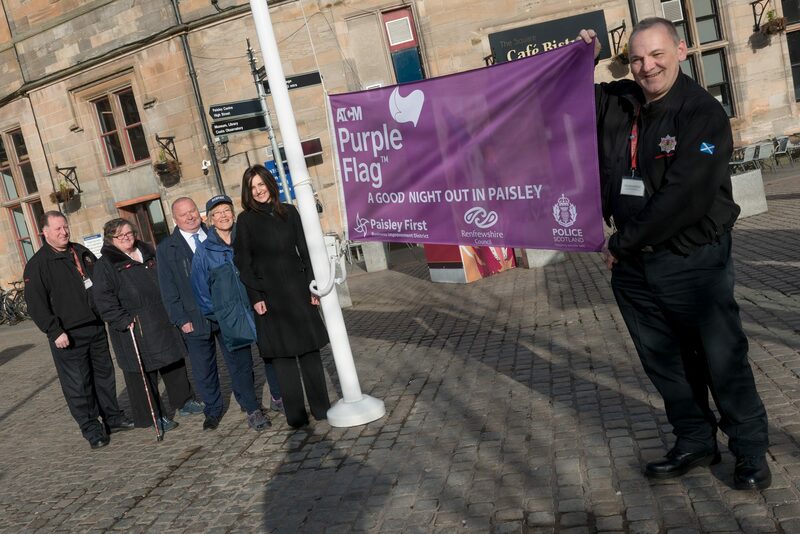 Purple Flag status was achieved at the beginning of 2017 following an application developed by Paisley First, with partners Renfrewshire Council, Paisley Pubwatch, Police Scotland, Renfrewshire Cabs, Scotrail, Paisley and West Community Council and the Paisley Street Pastors. The town’s Purple Flag is on display at the town’s County Square.